Competenz kicked off #GETAMPT campaign in the most vibrant and popular Pasifika festival in the world. The annual ASB Polyfest draws 90,000 strong crowds of school children and adults from around the country. The event marks Competenz’s commitment to engage and promote trade apprenticeship to Maori & Pasifika communities. For the pilot program, the focus is on South Auckland. To attract visitors, the Competenz stand was equipped with gaming devices for virtual reality car racing games which became overwhelmingly popular amongst school children. Talented graffiti artist Monty Collins exhibited a live graffiti wall painting which drew significant interest from the festival goers. There were also giveaways and social media competition for the event. Our ambassador apprentice, Ranamila (Joji) Chute was present to show his support and endorsement for trades training to youth. Joji is an accomplished apprentice and also the winner of The Prime Minister’s Pacific Youth Awards 2012. He is currently doing Level 4 Mechanical Engineering with Alive Foods Ltd.
Iani Nemani, Maori and Pasifika Manager of Competenz has worked tirelessly for months to see the plan come to life. “It is fantastic to be part of ASB Polyfest family this year as we aim to reach out to young Maori and Pasifika youth of the potential of trades training as a career path. 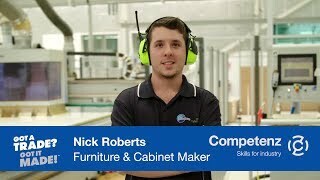 There is a huge demand for trained tradespeople in Auckland and across New Zealand, and it is vital that the message gets through to the young people and their families. The popular 4-day event features traditional music, dance, costume and speech is a celebration of the diverse culture of New Zealand. Students competed in traditional performance items of Cook Islands, Maori, Niue, Samoan, Tongan, Fijian, Tokelau, Chinese, Korean and Indian cultures. Competenz and ATNZ staff volunteered their time to make the event a success.